Teenagers and club activities, commonly known as bukatsu or kurabu, go together as naturally in Japan as sushi and wasabi. Indeed, many members of today’s older generations look back on their club activities with nostalgia. However, something that most Japanese parents accept as a normal and desirable rite of passage in their child’s development can leave foreign parents quaking in their boots at what lies ahead. Twenty-eight foreign parents with children in Japanese junior or senior high schools participated in a written survey for this article, sharing their family’s experiences. Almost all reported some degree of anxiety about bukatsu when their oldest child entered junior high, with the effect on family time and the level of commitment being the most frequently cited concerns. Heather from Australia had mixed feelings when her daughter entered junior high school last April and joined the kendo club. “I think bukatsu has the potential to teach children a lot of things, but a lot of this is lost in over-practice, the desire for perfection and in power relationships,” she says. Sports clubs typically demand five or six days of practice a week, after school and on weekends and sometimes even before school. Jas from India, one of a handful of fathers in the survey, laments the fact that he barely sees his eighth-grade daughter since she joined her junior high school tennis club. A mother of three teenagers, bukatsu veteran Catherine from the United States was shocked at the devious tactics employed by junior high sports coaches to extend practice time. “They would simply call it something different, like ‘community practice,’ and this way the kids could practice for longer periods than the school rules allowed,” she explains. Foreign parents used to taking their children back to their home countries on vacation face a difficult decision from junior high, when club practices extend into long vacations. Some schools even plan summer gasshuku, or camps, when the whole club and the coaches go away for a few days. Last year Mich only managed a scant week’s trip back to Canada due to her younger son’s practice sessions for the soft tennis club. Renee has a son the same age that also plays soft tennis. While initially very anxious about the impact of bukatsu on annual trips to see her family in the U.S., she was pleasantly surprised. In general, junior high schools expect children to pick a club upon entering the school and stick with it. Those with no interest in sports, or who want a more relaxed schedule, typically choose a cultural club like art, science or cooking, that doesn’t meet as often. Quitting your club is usually frowned upon and is rather sardonically referred to as kitaku-bu (going home club). Parents in the survey whose children quit club altogether reported having to jump through hoops to have the move sanctioned. Tiiu from the U.S. and her husband had to endure several meetings with the coach when her older daughter decided to quit her junior high school volleyball team after growing weary of being bossed around by older teammates. There seems to be something about girl’s volleyball. Another American mother, Ruth, reports having to fill out a pile of papers in order to have one of her twin daughters quit the junior-high team after developing chronic knee pain from over-strenuous practices. “It was also sad to see how those who remained in the club gave her the cold shoulder and sort of rejected her for quitting,” Ruth recalls. While foreign parents generally want to see shorter practices, less time spent on each activity and more flexibility in allowing students to combine multiple activities during their teenage years, many have also developed an appreciation of the merits of bukatsu. 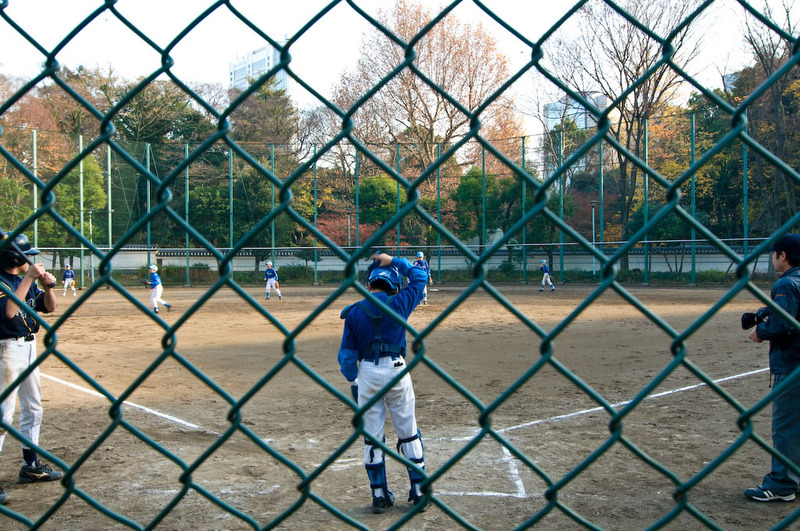 In a similar vein, Atsushi Nakazawa, assistant professor at Hitotsubashi University’s Graduate School of Social Sciences, notes that during the late 1970s and 1980s, Japanese schools started seeing sports bukatsu as a useful tool to prevent student delinquency. Nakazawa has done extensive research on the history of Japanese sporting bukatsu and has published books on the topic. 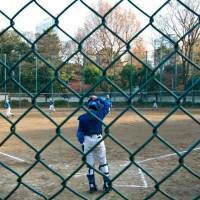 Finally, as Japan became wealthier and the values of the younger generation shifted, the idea of “discipline though sports” became popular with educators in the late 1970s, and that mindset remains largely unchanged today. According to Nakazawa, while some 70 percent of junior high school students choose a sport, by high school, sports club participation drops to about half. Helen from Britain has a son in the high school rock band. While he didn’t enjoy the petty rules that characterized his bukatsu experience in junior high school, he loves it now. For some high school students, however, the club becomes so omnipresent that they are required to live away from home, in a school dormitory. Margarite from the Netherlands has seen two sons follow this route with their school’s highly competitive volleyball club. All the practice paid off for her older son, now at university, who became a national beach volleyball champion in 12th grade. Australian mother Melissa understands only too well how bukatsu can permeate into every spare waking moment of a teenager’s life. Her younger child is a member of the high school dance club and practices not only mornings and evenings, but even at lunchtime most days. In September last year, a cellphone video of a high school volleyball coach from Hamamatsu repeatedly slapping a boy went viral after being posted on YouTube. Corporal punishment has been illegal in Japan for 50 years, yet even as they celebrate Japan’s successful bid for the 2020 Olympics, officials seems at a loss to know how to deal with the sordid underbelly of this country’s sports culture, where coaches routinely expose elite athletes to verbal and physical abuse in the belief it spurs them to greater efforts. Concerned about these trends, the Sports and Youth Bureau at the Ministry of Education, Culture, Sports, Science and Technology formed a study group to look into improving the monitoring of club activities in the nation’s schools. “We gathered a panel of experts in the educational, sporting and legal fields and produced a set of guidelines for schools and coaches in May last year, which have already been distributed to schools,” says Yutaka Takemura from the bureau’s Physical Education Department. Spare a thought for the coaches, who are usually teachers at the school. While the PE teacher coaching the baseball team or the music teacher leading the brass band might be no-brainer choices, many of the teachers have little experience or even interest in the activities they might end up leading. Typically, younger male teachers are expected to take on the most demanding clubs. Australian Kimmy’s husband is a high school science teacher but has charge of one of the school’s most popular sports clubs, leaving precious little time to spend with his wife and two small children. “The demands of coaching and attending tournaments don’t go hand in hand with family,” his wife says ruefully. Ironically, by the time Kimmy’s husband moves up in seniority and hands over coaching chores to younger teachers, his own children will probably be teenagers busy with their own bukatsu. Getting insider information on clubs can be difficult before a child actually starts at a school, but Elena from Italy highly recommends parents do this if they want to avoid nasty surprises later on. Elena’s eighth-grade daughter, a member of the dance club, attends a private girls’ school where the emphasis is more on studying and less on bukatsu. “This impressed me and was actually one of the reasons we chose the school. (Her club) is as is should be: just for fun,” she says. Whatever the pros and cons of bukatsu might be, it doesn’t last forever. Unless students are in an escalator school with guaranteed admission to the next step on the educational ladder, both junior and senior high school students usually quit in their third year to concentrate on entrance-exam preparations. Although the early-morning practices and mounds of dirty sports gear might seem endless, parents take heart: This too shall pass.